Quality of the product is fantastic - no gas issues on my little girl at all. Been using since birth. Shipping and handling are always fast and reliable. My baby had been on Enfamil Gentlease till her first birthday. I knew I was giving formula that has a form of sugar because every hydrolyzed milk based formula has bitter taste. So, I didn't mind the sweetner. 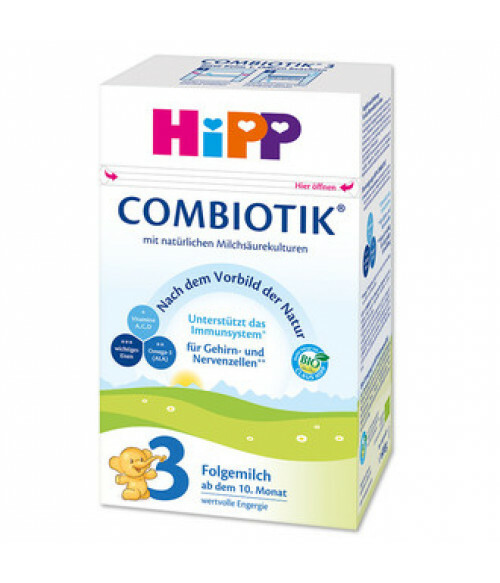 I was worried how my baby would adjust to HIPP stage 3, which is very clean and healthy formula after being on special formula/breast milk for a year. The transition was smooth. No problems - easy digesting, no constipation, no dermatitis. If you are worried about trying HIPP products -- my experience has been great. But I would consult with a doctor if your baby has some health concerns. Product arrived super fast. Packages were in excellent condition. Perfect. Will order again.